It’s been a big year for food photographers everywhere, with Instagram as the main app to showcase all the beautiful food we eat. From piles of colorful ice cream cones to cheesy gooey burgers, these photos infiltrate our minds (and our stomachs) ^_^ As a recap of this year’s eating I figured out my picks that were #GreatForTheGram, where they are all beautiful and some were more delicious than others. 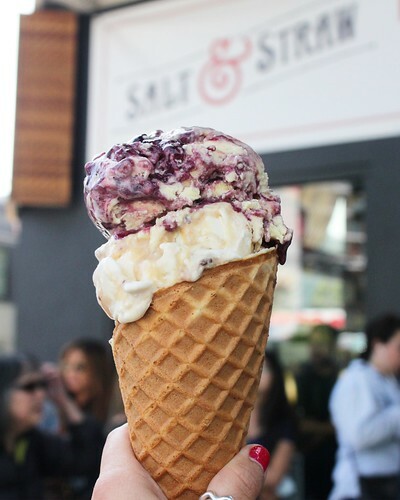 Salt and Straw SF – this Portland-based ice cream store opened its first location in Pacific Heights this year, getting plenty of SF folks to come in hordes and scope it out. Their flavors pull from local vendors and ingredients to create their delectable ice creams (for example some SF staples include, Dandelion Chocolate with Sightglass Coffee ice cream). 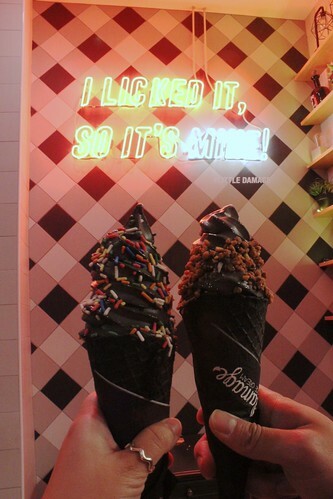 For those who have a hard time finishing large scoops of ice cream, they offer half scoops so you can taste more flavors without wasting as much! Dumpling Time SF – this place sounded promising, specializing in dumplings, brought into the heart of the city. I mean, who doesn’t love delicious dumplings, let alone ones with soup in them? 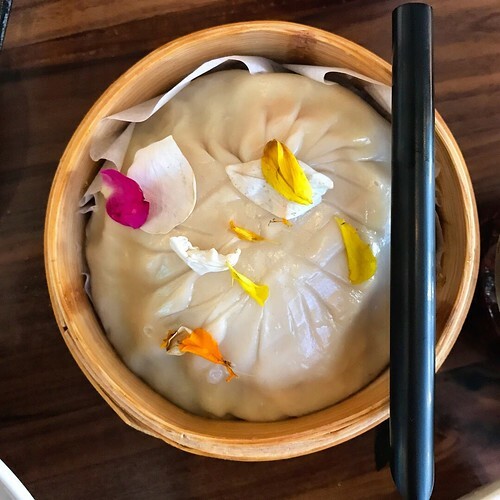 *Heart flutters* As far as the trend of soup dumplings (aka Xiao-Long-Baos) go, they’ve gone big…big to the point where you need a straw to pierce the dumpling to drink the soup. This massive king-sized XLB was pretty hard to pierce though, so be warned! 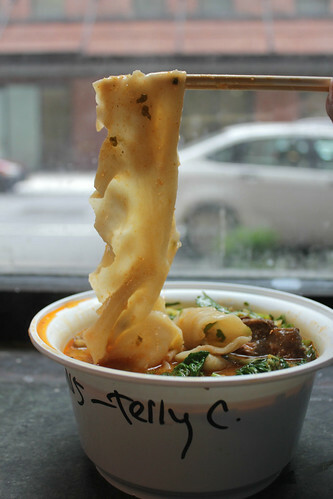 Very Fresh Noodles NY – it’s easy to get discouraged by the crowds standing near this little noodle stand in Chelsea market. 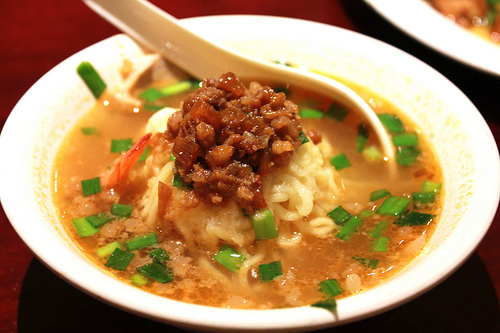 However, I’d say any bowl of freshly made hand-pulled noodles is worth the wait. 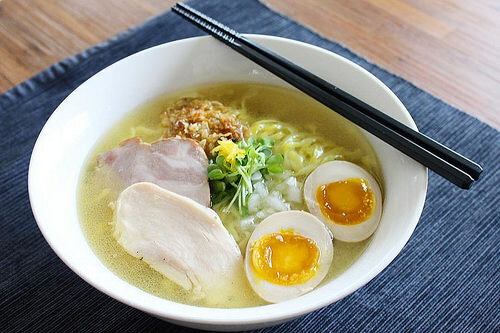 Their noodles were perfectly “QQ” (having a good bite to it) while their broth had a nice rich flavor and spice. 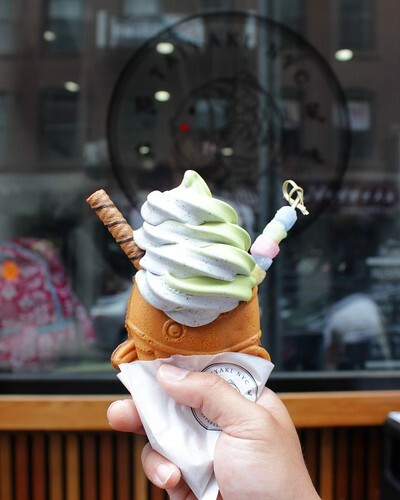 Taiyaki NYC – this place makes a fish-shaped pancake (from the Japanese dessert “taiyaki“) filling it with Asian soft serve flavors like black sesame and matcha instead of traditional red bean paste. 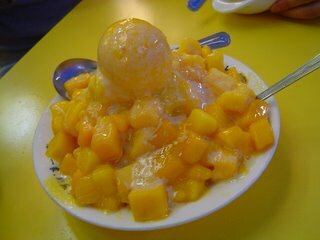 It looks pretty and fun, but remember to eat it fast since it melts quickly! Even though the eating everything together didn’t stand out, it’s still a playful and festive dessert to eat. Depending upon when you’re there, they have special combinations for the holidays. 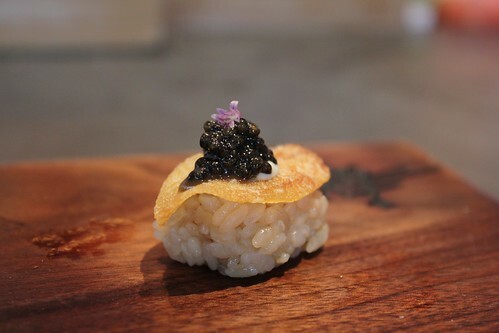 Robin SF – even as newcomers in the over-saturated omakase market in SF, they made their mark with their sushi. Though I am sure the menu changes often since they also follow seasonal ingredients (that’s already an instant win for SFers). Their sushi is tasty, decadent yet balanced, and not just fo’ show. Atoboy NY – these chefs, whose resumes come from Jungsik and Maialino, offer a great and affordable tasting menu. 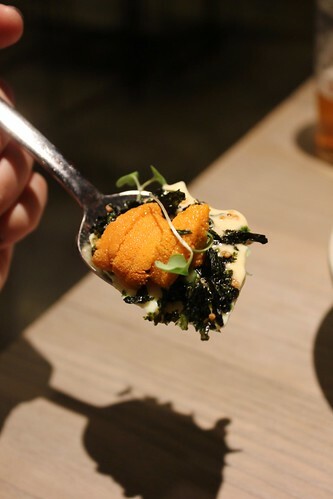 Even though uni continues to pervade many dishes this year, the couple at Atoboy have created a delicate and interesting dish. It is as beautiful as it is tasty. Note: the extra uni topping is an add-on so ask for it. There is uni already incorporated in the egg as well. 2017 has been a great year of eating and exploring – from LA to NY to Taipei to Italy. As we go into the new year, I’m looking forward to finding more places that are creating not just beautiful dishes, but also delectable ones. Happy eating everyone!